Outdoor cooking weather is just around the corner! Get your your taste buds in gear with this mix of a standard American beef cut and a sauce developed by Argentinian cowboys. Fire up the grill (or, if it's still too cold, heat oven to 375 degrees F). Slice the flank steak in half lengthwise to make two thinner steaks and pound with a tenderizing mallet (or closed fist, if you're into that kind of thing). Cut into 4-inch strips. Put the garlic cloves and olive oil in a blender and blend until smooth. Slowly add the leafy tops of the parsley and cilantro. 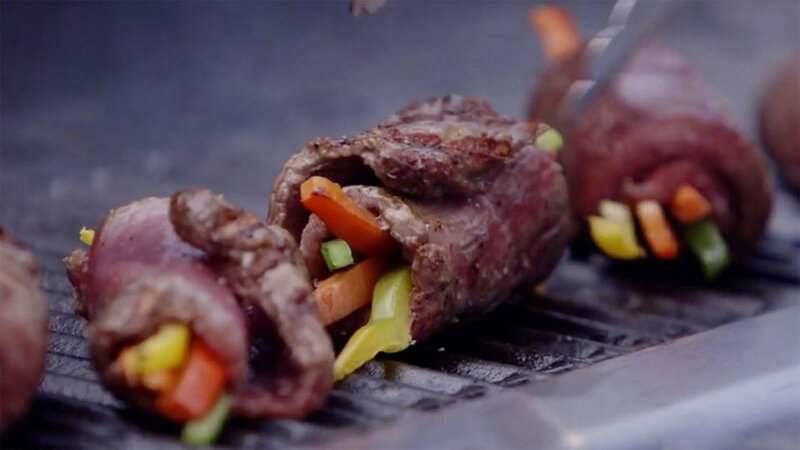 Place the rolled steak on the heated grill, fold-side down. Turn once, cooking to desired degree of doneness. If cooking in an oven, sear the steak rolls in a nonstick skillet for about 1 minute to seal, then place them on a baking sheet and bake for 15 minutes at 375 degrees F.